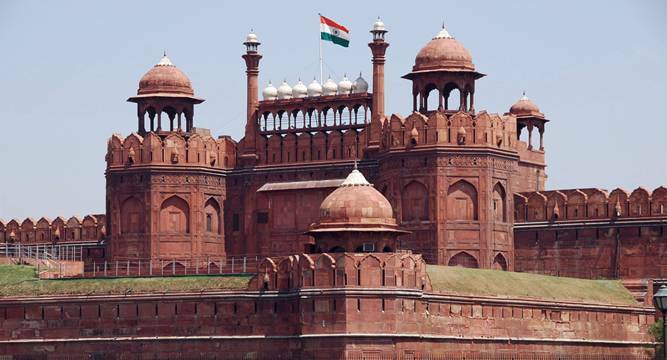 A festival showcasing cuisine and culture of different states of India will be organised at the Red Fort from 26 January as part of the Republic Day celebrations. The ‘Bharat Parv’ festival will be held from January 26 to January 29. “The prime objective of organising the event is to generate a patriotic mood, promote the rich cultural diversity of the country and to ensure wider participation of the general public,” an official release said. The Ministry of Tourism has been designated as the nodal ministry for the event, the highlights of which include a display of Republic Day Parade tableaux, performances by the Armed Forces Bands (static and moving), food festival, crafts mela and cultural performances from different regions of the country. The festival will be open to the public from 5 PM to 9 PM on 26 January and from 12 noon to 9 PM on the 27, 28 and 29 January. “The event is open to the public and the entry is free. However, identity proof is to be carried,” the release said. Cultural performances will include folk and tribal dances and musical programme by the Ministry of Culture through its zonal cultural centres and performances by cultural troupes from the different states.